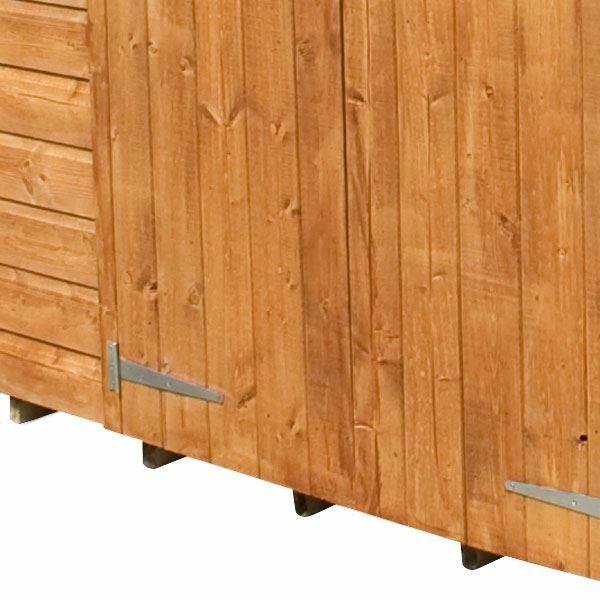 The 7ft x 7ft Corner Shed is perfect for discreet, garden storage. This shed neatly fits into the corner of your garden and the space saving design is both practical and affordable! 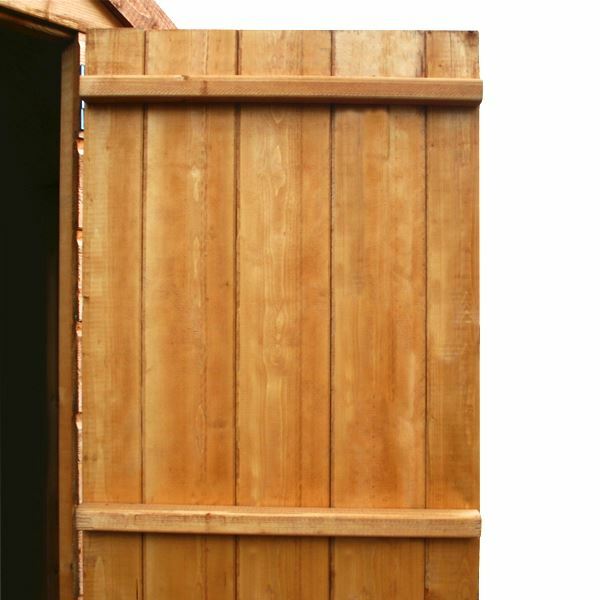 Made from high quality planed tongue and groove timbers, the shiplap cladding of this shed locks together to form a strong, weather resistant panel. The large double doors provide easy access and storage for larger garden items such as lawn mowers or furniture and are complimented by styrene glazed windows which flood the building with light. Styrene is a safe, environmentally friendly alternative to glass that is completely transparent and shatterproof. 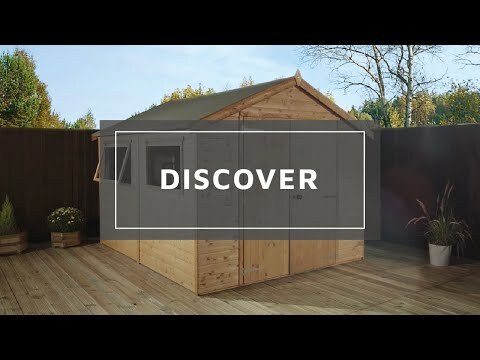 The corner garden shed has high quality framing and floor joists giving the shed a solid foundation for storage or even use as a small workshop. The roof and floor of the building are made from solid sheet board and come complete with a sand felt roof covering to protect your building and its contents. Full assembly instructions are supplied with the shed along with all fixings for quick and easy assembly! Click here to view our easy to follow installation instructions Download the Absco App to view product videos and manuals. Review:A really well made product with easy instructions for building. I am glad that you are happy with the quality of your tongue and groove shed and thank you again for your great review. Review:It is exactly as described. It was put up single handedly by someone handy!! Two people probably a good idea if you’re not a DIY expert. Thank you for taking the time to let us know your Tongue and Groove Corner Shed was as described on Waltons website, and that your product was installed with ease. It is great to know that you are happy with both the service and quality of your tongue and groove shed and I thank you again for your positive review. I am so pleased that you are happy with the quality of your tongue and groove shed and I thank you again for your great review! I am so glad that you are pleased with the quality and value for money of your tongue and groove shed and I thank you again for your fantastic review. I am glad that you are pleased with the service and quality of your tongue and groove shed. It is great to know assembly was straight forward and I thank you for your positive review. Review:Great all round shed! The door was tricky to hang but everything was brilliant. I am so pleased to know that you are happy with the standard of service received and with both the quality and appearance of your tongue and groove shed. Thank you for taking the time to provide us with your great feedback! Thank you very much for your great feedback! 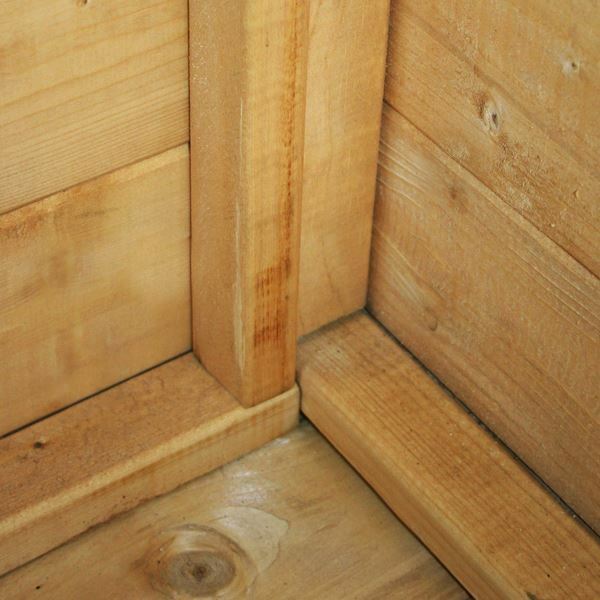 Review:7x7 corner shed. Good qualitity and works perfectly as a cycle storage. Review:Good quality product with good delivery service. 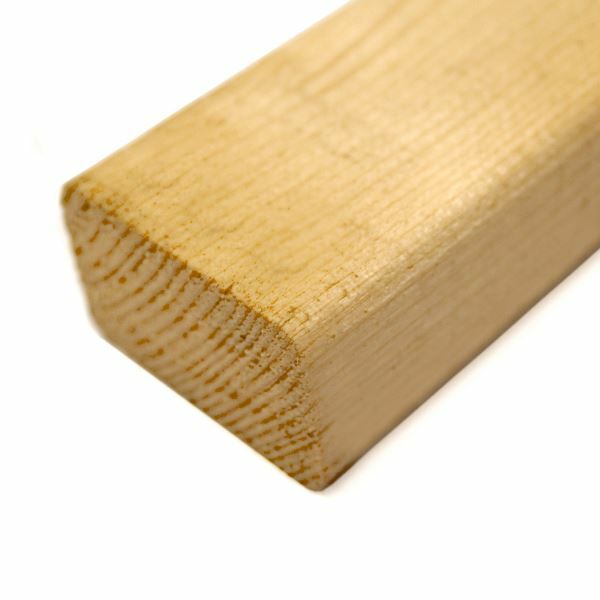 It is fantastic to know that you are happy with both the service we have provided as well as the good quality of your tongue and groove corner shed. Thank you for your great review, it is much appreciated! Our Reply:I am so pleased you are happy with the value for money of your tongue and groove shed and that assembly was straightforward. Thank you again for your great feedback! Our Reply:I am glad you are pleased overall with your shed and we thank you for your feedback. 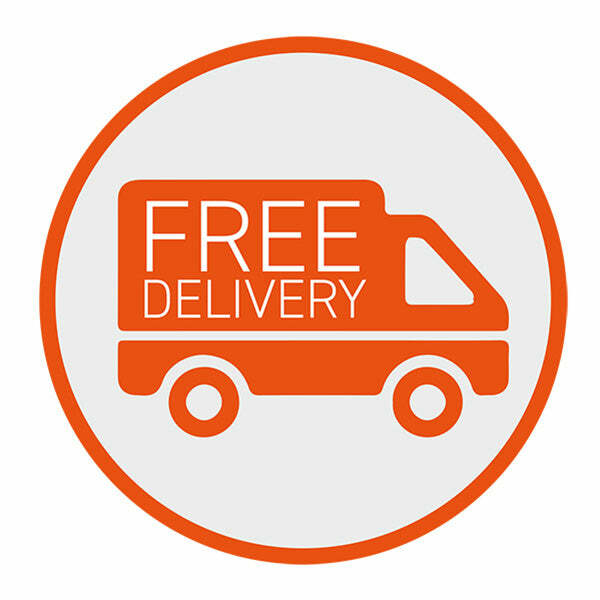 Should you have any queries, please do not hesitate to contact us at service@waltons.co.uk or 0800 029 1000. Our Reply:We are happy to hear that you are pleased with your new corner shed. We are sorry to hear that you have had a few issues with the build if you require any help please contact us at service@waltons.co.uk or via telephone on 0800 029 1000.
Review:Mediocre build quality (many screws/nails completely missed what they were supposed to be screwing into!) and instructions differ from what is supplied, but now it's up, it's sturdy and solid. Good value. Review:Fantastic size, fits perfectly with our garden design. Good quality and robust. Our Reply:It is fantastic to know that you are happy with your tongue and groove shed and that you think it is a good quality product. We appreciate your feedback.